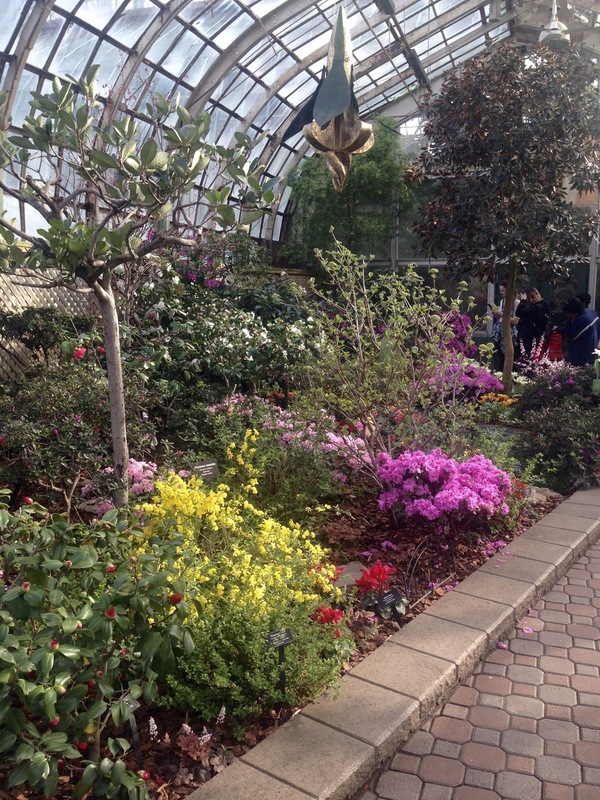 In last week's travel post I shared all about my visit to the Lincoln Park Zoo. On that same day we also popped in and visited the Lincoln Park Conservatory which is located only a few steps from the entrance to the zoo. Like the zoo, it is also FREE, but there is a donation box at the entrance. 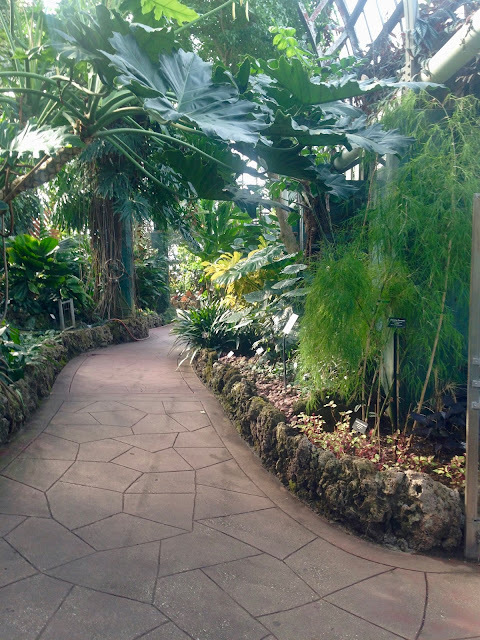 The Lincoln Park Conservatory is much smaller than the Garfield Park Conservatory, but it is still very nice and enjoyable to walk through; especially on a winter day. It was wonderful to walk in and see and smell such beautiful flowers. 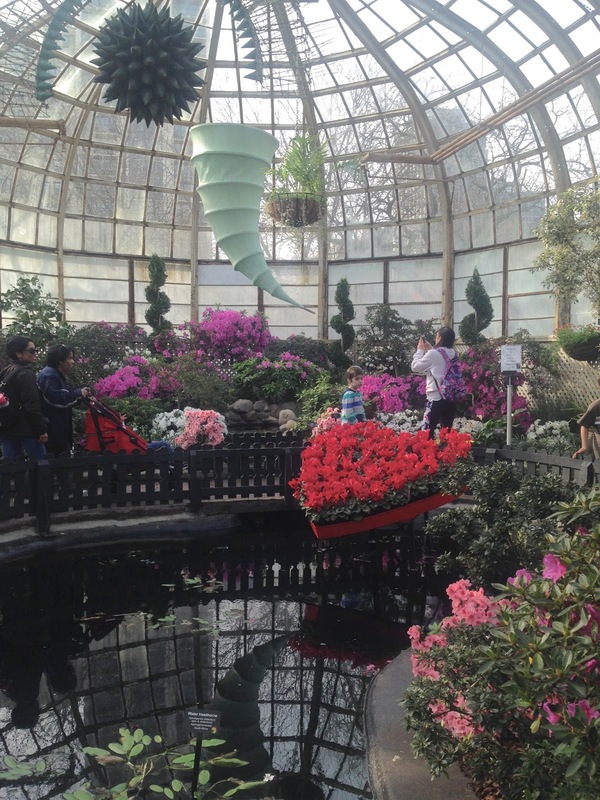 The Conservatory was constructed in the late nineteenth century and consists of outside botanical gardens as well as the glass domed structure itself. The building contains four display houses: Palm House, Fern Room, Orchid House, and the Show House which showcases annual flower shows. 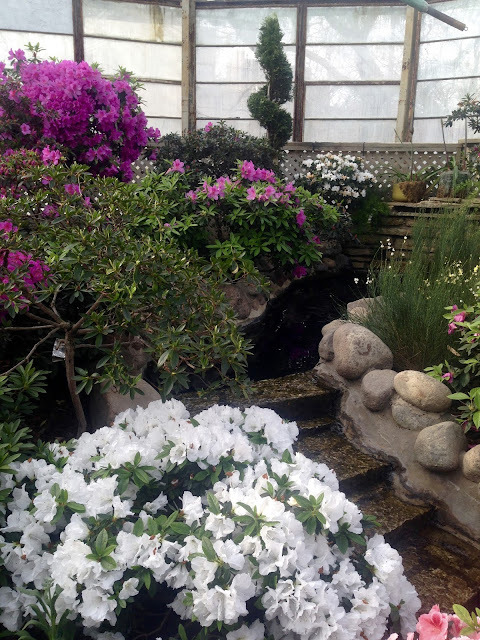 Because it is spring, the Show House consisted of spring blooming azaleas and tulips! These yellow tulips opening up towards the sun are gorgeous! 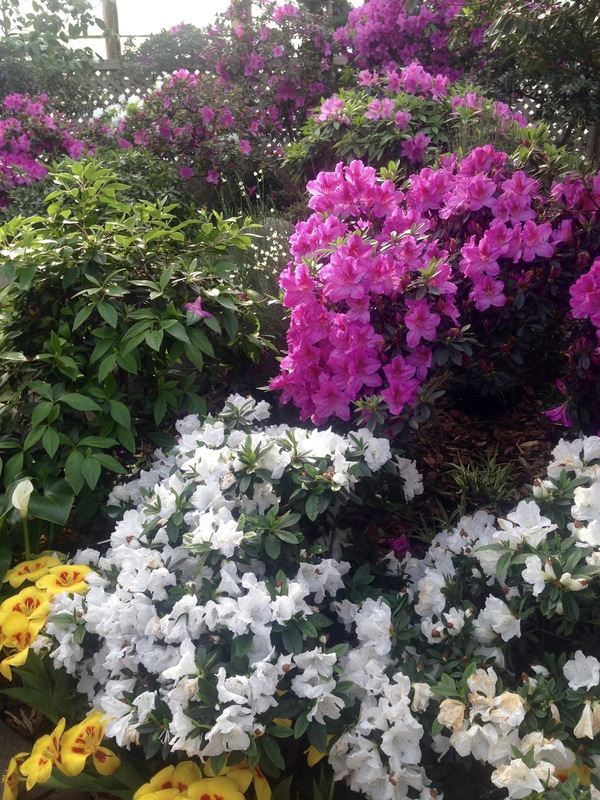 I love azaleas but always have difficulty growing them in my neck of the woods, so I really appreciate them when I see them. Isn't this yellow jasmine plant just the sweetest? I visited the conservatory about a week after Valentine's Day and they still had this pretty heart display of cyclamens up. 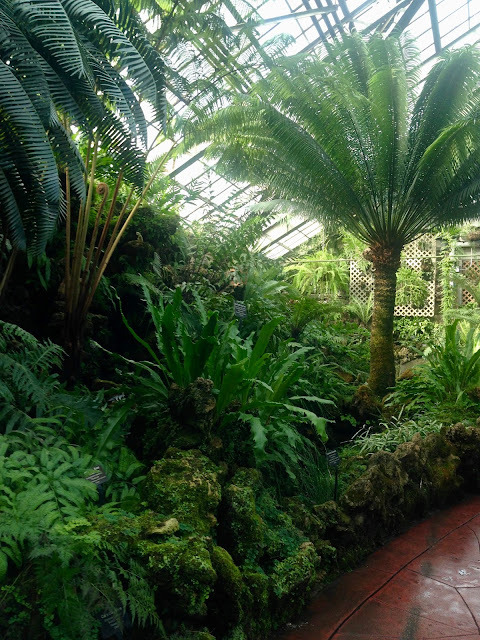 This is the Palm House. The Palm House contains giant palms and rubber trees. There are more than twelve different types of palms and it also includes palms that bear fruit. I love ferns, so the Fern House was one of my favorite rooms. 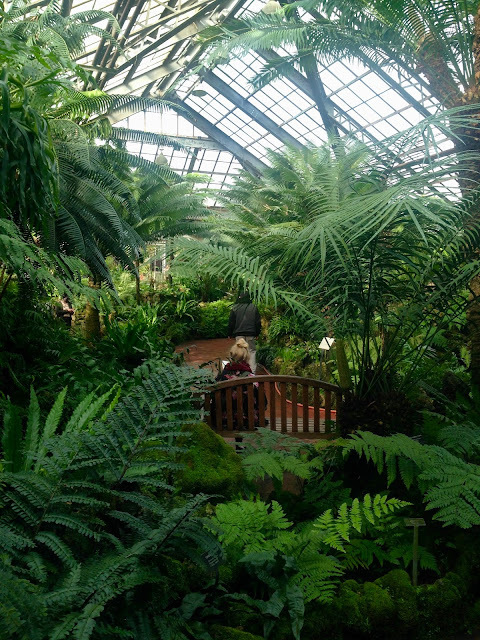 This visitor appears engulfed by the enormous ferns surrounding her. 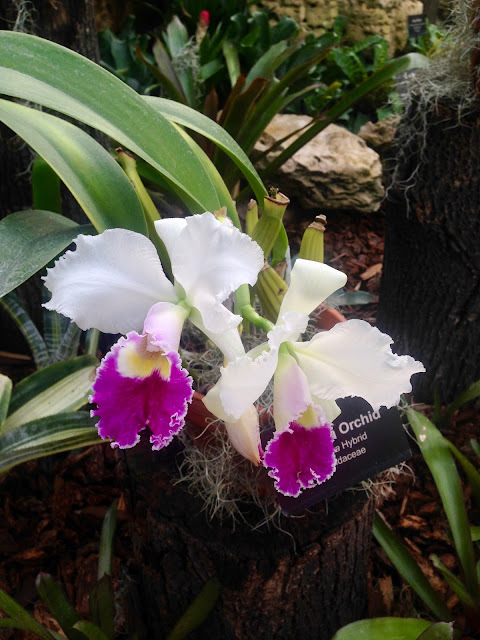 The Orchid House contains hundreds of orchids, bromeliads, and carnivorous plants. I really liked the beauty pictured below. After our full day at not one, but two conservatories and the Lincoln Park Zoo, we were ready for some nutrition. So where else does one go in Chicago for some good food? Well, the Cheesecake Factory of course! Except, we didn't order food...just the cheesecake. And that was a good thing since there is about 1200 calories in one slice...that's about as many calories as I eat in a single day! I ordered the Adams Peanut Butter Cup Fudge Ripple Cheesecake. It is a creamy cheesecake swirled with caramel, peanut butter, Butterfinger, and Reeces Peanut Butter Cups. Yum! So Delicious! And yes, I ate it all up; including the frosting which was so sweet it made me sick. But I still enjoyed it. Next time though, I'll have to order it with a cup of coffee to balance out the sweetness. Ashley and Jason are both gluten free so they ordered the Godiva Chocolate Cheesecake. 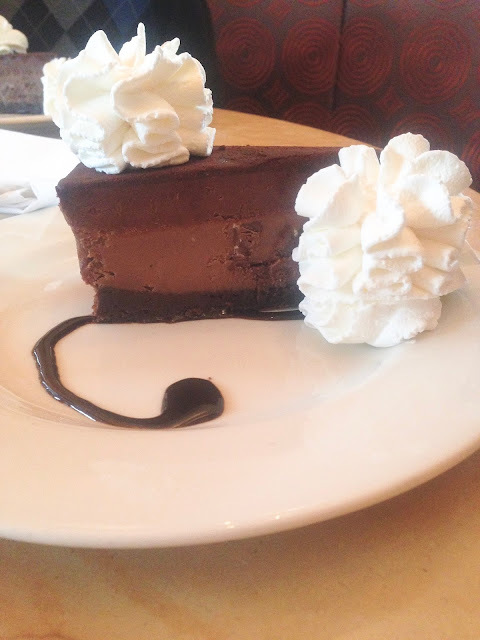 It is layers of flourless Godiva chocolate cake, Godiva Chocolate Cheesecake, and chocolate mousse. Theirs was fabulous too. Good thing we did a lot of walking that day to burn off the calories! 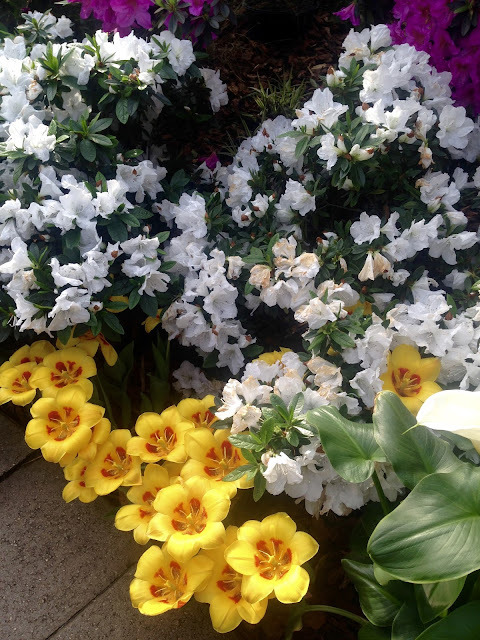 Loving all these flowers, what a special treat to see them in February! How funny! And would you believe I never ate at the Chicago Rainforest Cafe because every time I go to Chicago we eat at the Cheesecake Factory? Very nice. That is a place that I need to go to. Only been to the Chicago Airport. 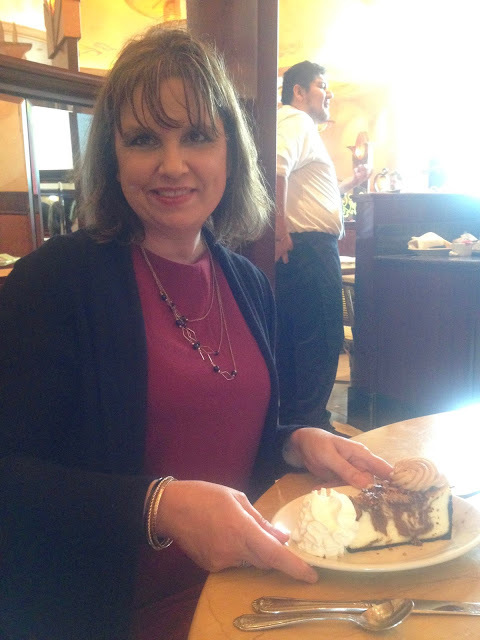 I have been to The Cheesecake Factory a bunch. The problem is in San Francisco there is always a huge wait, so I tend not to go there. Oh, Chicago is such an amazing, beautiful city. There is so much to do there! You could spend a week there and still not see everything. I've never experienced much of a wait time at the Cheesecake Factory, but it is quite large. That Lincoln Park Conservatory is so beautiful inside with all of those lush flowers and blooms! 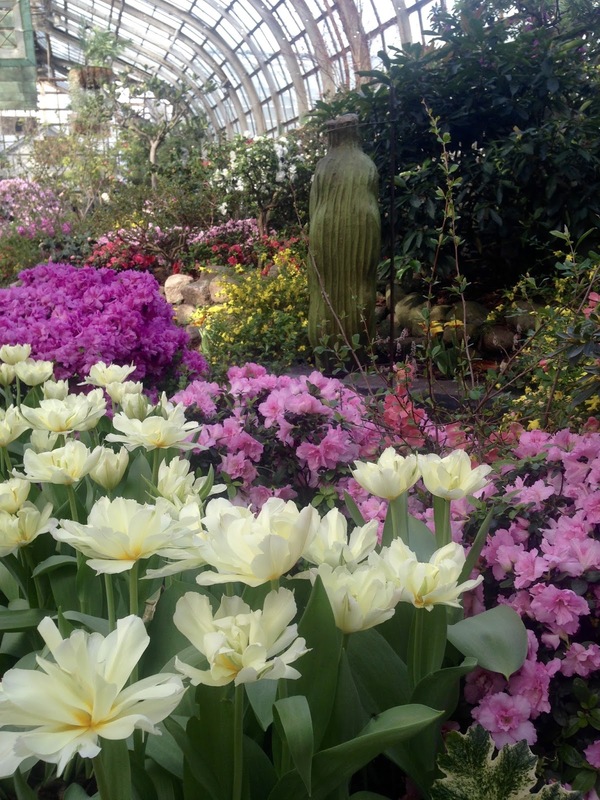 Makes me want to visit our botanical garden! Those cheesecakes look delicious, too! I haven't been to The Cheesecake Factory in awhile, but their menu is SO huge I always have a hard time deciding what to order. St. Louis has one of the most beautiful botanical gardens I have ever seen! You're so lucky to live near it. I was there while their Japanese Garden was under construction; I so want to go back someday to see it. And would you believe I've never ordered food at the Cheesecake Factory? We've always gone there just for the cheesecake! We don't visit our conservatory nearly enough! It's part of the botanic gardens, and we tend to go more in the summer---and that's not the best time to visit really!! This makes me think we need to schedule a trip next winter!! 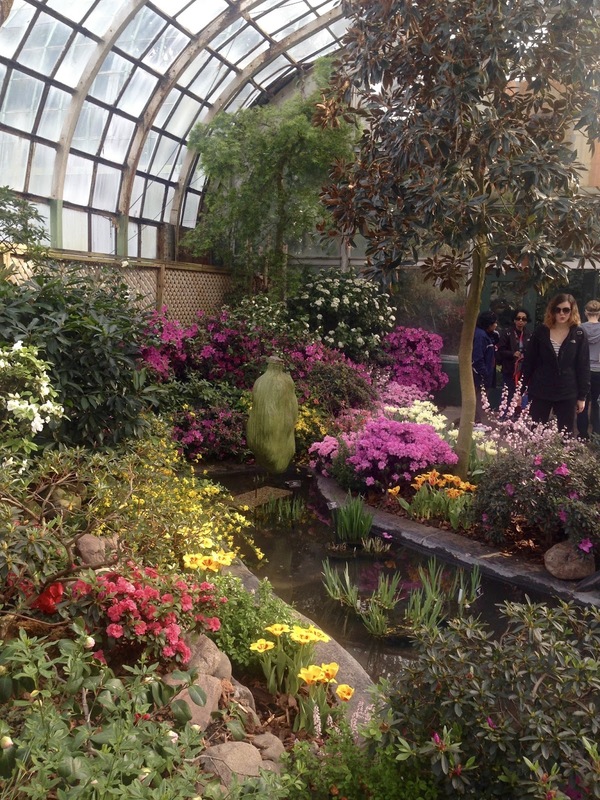 Yes, visiting a conservatory in the winter is so refreshing and rejuvenating! Those ferns are massive! I love ferns too, in fact, verdant gardens are my fave. I would have loved it - especially when it came to cheesecake time :-). 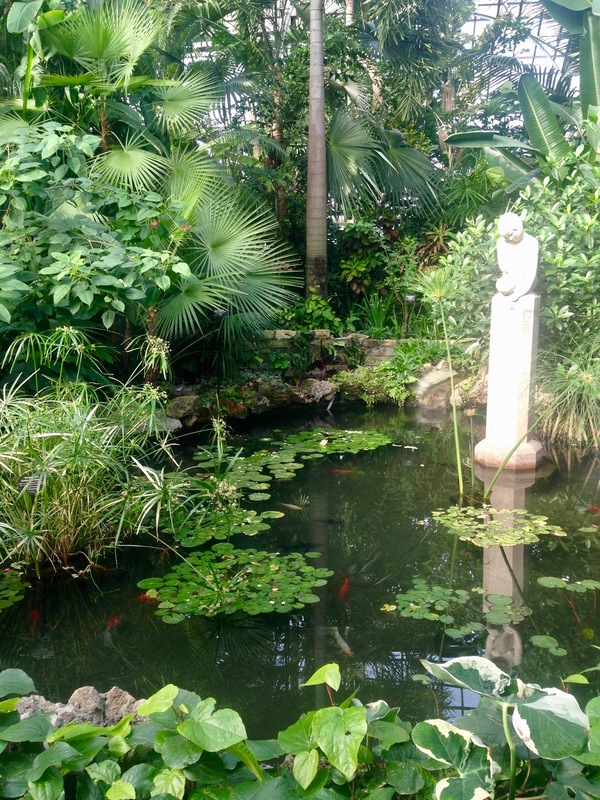 If you love verdant gardens you would love my yard. It's like a jungle of green come mid summer! Oh I'd love to go in the summer so I can see the outside flowers as well! Yes, it is! Quite the winter respite!